Hungry Oven is a place where traditional Italian recipes are mixed with a cosy environment and served in a revolutionary way!  The Hungry Oven Italian Kitchen & Bar located in Bournemouth, deliver food to your table with a swipe of a finger. By dining at Hungry Oven, you are encouraged to download the Hungry Oven mobile app, allowing you to order food to your table, and request service from a waiter, from the palm of your hand! Hungry Oven has teamed up with Carbon Free Dining; the United Nations-backed Restaurant initiative. 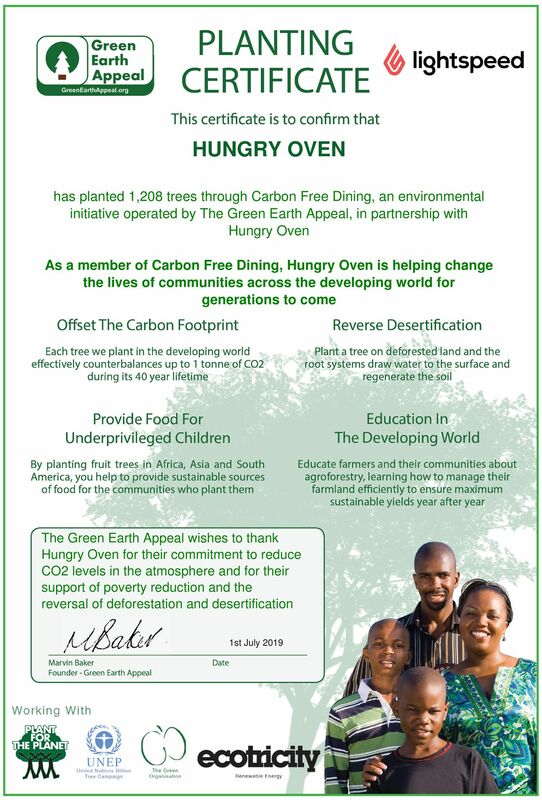 Hungry Oven has chosen to become a Carbon Free Dining Certified restaurant and demonstrate their love for the environment by partnering with the programme. As a Carbon Free Dining Certified restaurant, Hungry Oven plants hundreds of trees each month, effectively offsetting the Carbon Footprint of the meals they serve. This is done by simply giving diners the opportunity of planting a single tree with each bill for an optional 99p.